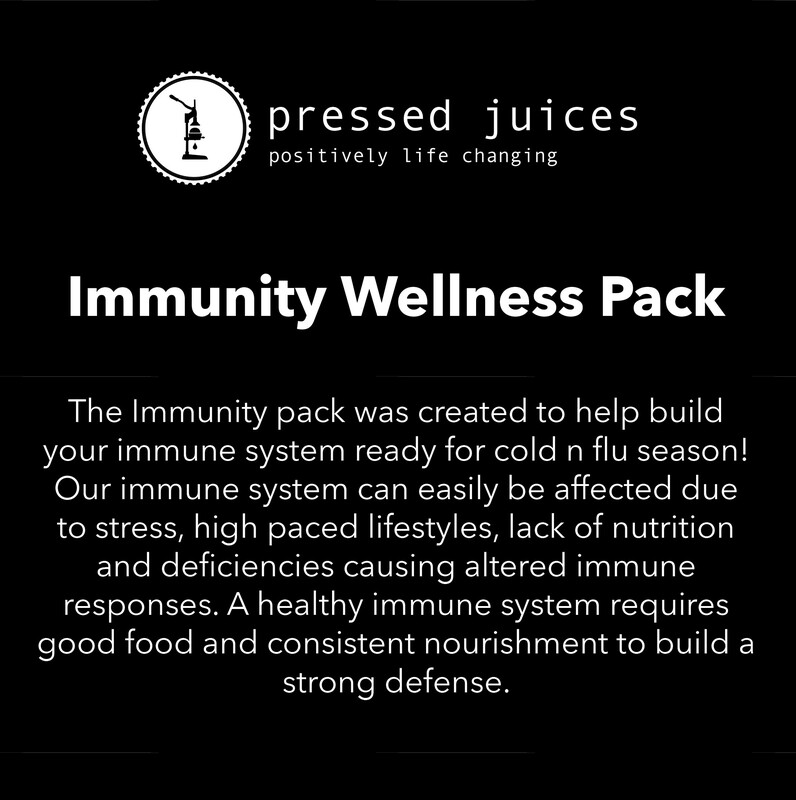 The Immunity pack was created to help build your immune system ready for cold n flu season! Our immune system can easily be affected due to stress, high paced lifestyles, lack of nutrition and deficiencies causing altered immune responses. A healthy immune system requires good food and consistent nourishment to build a strong defense. B Vitamins as well as Vitamin A, C & E are required to stabilize a healthy immune response helping to stay strong and fight against harmful pathogens. Vitamin C found highly in citrus fruits is a potent antioxidant, which can help support healing inflammation and may reduce the severity of cold n flu symptoms as well as helping to avoid them. Vitamins are important for antibodies and T-cell activity, which neutralize infection and toxins that bad germs produce. 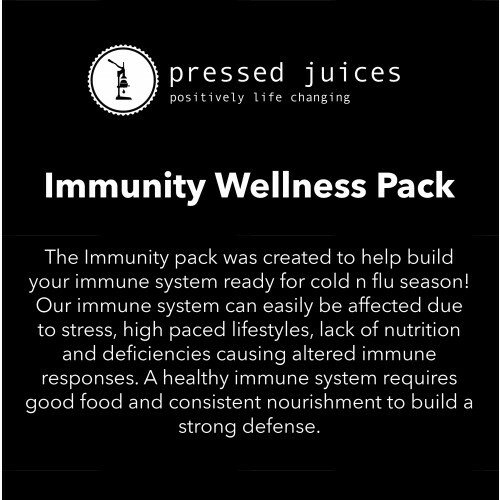 The immunity pack also focuses on anti-inflammatory ingredients! The Immunity Pack will not only boost your immune system but it will replenish a range of nutrients, re-hydrate your cells and maintain skin elasticity. Incorporated with you immunity pack is suggested a healthy lifestyle with fresh fruits and vegetables, regular exercise, maintain stress and ensure you are getting adequate sleep!